Since July 2010, the NeoVictoria Project has sponsored Radio Riel, a Second Life/Internet version of an actual life nonprofit, public radio service, such as the British Broadcasting Corporation (BBC), the Canadian Broadcasting Corporation (CBC) and National Public Radio (NPR). We love their Steampunk stream, which runs run 24/7 and plays the very wide variety of music that can be classified as “Steampunk”. The usual suspects (Abney Park, Vernian Process, Emilie Autumn) are part of the daily program, as well as mechanical music, a little Goth, a little Darkwave and Electronic Classical music. Radio Riel and the NeoVictoria Project present the 2015 “Talk Like a Pirate!” Event! A celebration marking the NeoVictoria Project’s fifth year in Second Life! This live radio event, broadcast on Radio Riel’s Steampunk channel, will celebrate “International Talk Like A Pirate Day”. Mr. Edward Pearse to Disc Jockey. There will be prizes for best in male and female costumes! Argh!!! Bring your best pirate to the event this Saturday! 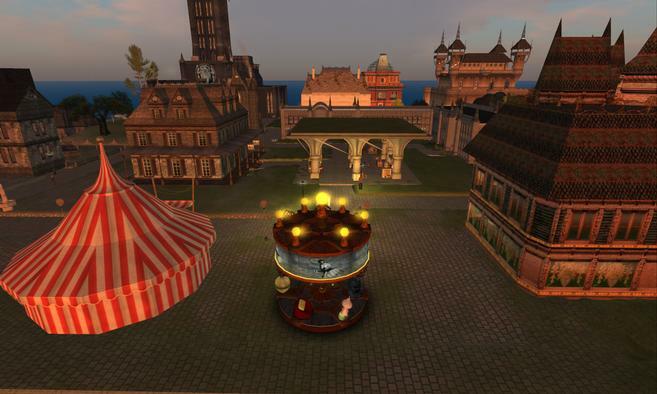 A celebration marking the NeoVictoria Project’s fourth year in Second Life!